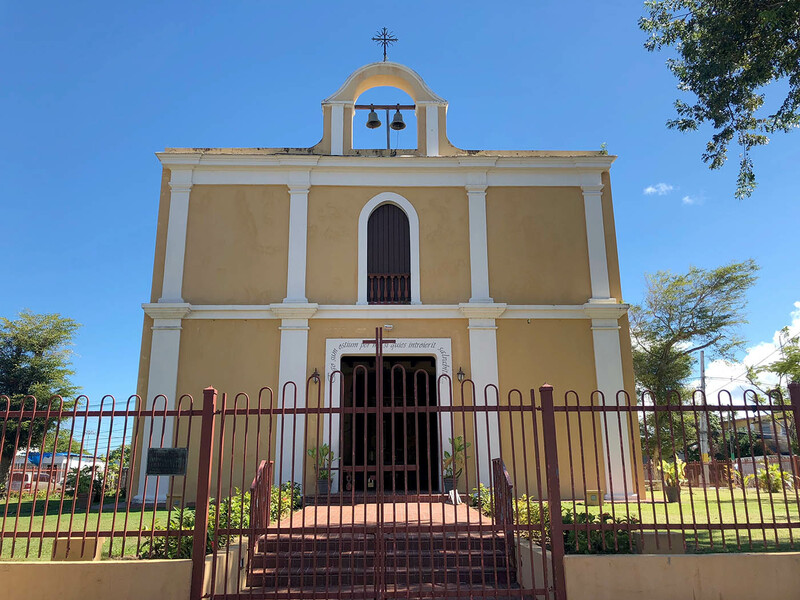 The Parroquia del Espíritu Santo y San Patricio (Parish Church of the Holy Spirit and Saint Patrick), constructed in 1645, is one of Puerto Rico’s oldest Catholic parish churches and it is located in the main plaza of Loíza. The church represents an ethnically distinct community characterized by a rich Afro-Hispanic cultural and folk craft tradition. The structure’s massive walls and buttresses helped the building withstand flood and hurricanes and likewise provided the people of Loíza with shelter from such natural disasters. The church was enlarged to its present size in 1729.